The Bookseller recently surveyed people in the UK book trade about how class is a barrier to entry into writing and publishing. 80% of people who see themselves as working class felt that their background has adversely affected their career. (Incidentally, I’m not comfortable talking about people as ‘working class’ and wonder if that comes from living in Australia, where we tend to think of ourselves as an egalitarian society – but I think the only way to address these issues is to acknowledge that different socio-economic ‘classes’ for want of a better term, exist). I’m interested in this as a reader because I want the widest possible range of books. I read diversely and increasingly am seeking out books in translation, books by own voices authors, Aboriginal Australian stories, queer stories and a mix of fiction and non-fiction. So far, so good (or so latte liberal? I’m not sure I can even talk about working class issues – but what is the alternative? I suppose the difference is in being genuinely open to a wide range of books, not just ticking a box). But until recently it hadn’t occurred to me that few of the books on my shelves are by working class authors (aka ‘unconscious bias’). I think the unconscious bias which leads us to read more books by white, middle-class men has a trickle-down effect, starting with publishers and reviewers. It’s harder for working class people to get a job in publishing or to have their stories published, so there are fewer such books for us to read. UK publishers are beginning to address this, with things like blind recruitment, paid internships and workshops outside London. One Hundred Years of Dirt by Rick Morton. This is a terrific read, with all the things I love in non-fiction: beautiful clean writing; interesting narrative with colourful stories of growing up in Australia’s remote outback, his brother’s ice addiction, coming out, and forging a career despite the barriers of poverty. But Morton also goes beyond the anecdotes to give us a big picture view. It opened my eyes to how tough it is to be poor and try to build a career in journalism. His writing is crisp, matter-of-fact, and honest, but with a sense of humour too. I enjoyed his company as a narrator and (despite the confronting topics) kept wanting to pick it up again when I wasn’t reading it. Books like Educated by Tara Westover and Hillbilly Elegy by J. D. Vance also show how hard it is to overcome poverty and obtain a university education and a career. I preferred One Hundred Years of Dirt. Morton’s forthright, unvarnished style (but still inventive writing) coupled with the research, appealed to me. I highly recommend it! A wonderful debut novel about growing up in the working class suburbs of Brisbane. It’s a generous, touching and at times funny book, with so much heart. I loved Eli, the lively and engaging narrator. The characters are larger than life but realistic and vividly bring to life that era. It gives a sense of the culture and people doing it tough in the outer suburbs. It became a word-of-mouth sensation in 2018, deservedly so, and has just been shortlisted for two New South Wales Premier’s Literary Awards. Highly recommended. Kerry Hudson has been outspoken about the issue of class in publishing. I’m keen to read this. She did a video with Simon Savidge which was delightful and made me want to rush out and buy the book! Alas, it is not out in Australia until May. Kit de Waal is another author who has spoken out about the lack of working class representation in publishing. I thoroughly enjoyed this and read it pretty much in one sitting. An engaging read and great story with original characters who surprise you – I loved that it wasn’t predictable. The dialogue and setting felt real. De Waal has an easy writing style and handles serious matters with warmth. Beautifully moving. Sometimes you read two books at random and discover a theme. And so it was with these two books – time for a double review! Travelling in A Strange Land by David Park and Please Look After Mother by Kyung-Sook Shin, translated by Chi-Young Kim, are moving stories about parenthood but told from different points of view. Please Look After Mother is an exquisite novel set in Seoul. A family searches for their mother, who has gone missing. We hear from each of her (now adult) children, who realise the sacrifices their mother made and piece together her life. The writing is crystal-clear – thoughtful but fluid. Shin gives her characters space to reflect, but on each page there’s a tension or event to propel the reader forward. It’s infused with South Korean culture yet there’s so much we can all relate to (especially regarding family dynamics and obligations). In Travelling in a Strange Land a man called Tom drives through snowy roads, thinking about his son and wondering whether he has been a good father. Park’s strong, assured writing propels us firmly onwards even in slower parts. At first the endless snow, with Tom circling around the issue but not coming to the point, frustrated me, but it mimics his state of mind, which is frozen; he looks at the snow rather than confront his memories. It picks up and becomes a very moving, honest portrayal of parents at a loss over their son. Towards the end, the poetic writing soars and the emotions of the father feel so real it’s heart-breaking. As to parenthood, in both cases they have been good parents: the irony, or perhaps the evidence, of this is that their children have taken them for granted. Both books have beautiful, heart-breaking, redemptive endings. Their major achievement is that the final scenes are sublime and dramatic, but it’s earned – it feels true to the characters. I won’t give away the stories, but in both, the characters reach a point between sacrificing everything for others and being selfish, and land on compassion. It feels hopeful, I think because it taps into something human in all of us: we’re not perfect when it comes to caring for our families and others, but our sense of compassion will prevail. It’s rare to find two books with such memorable endings – I recommend both. Have you read either of these (or other books with inadvertant themes)? Let me know what you think! Here are my top ten books of 2018. Needless to say, it was impossible to narrow it down! In alphabetical order by author. A little wordy but I loved the lyrical sentences and Irish humour. A book I kept thinking about long after I’d read it. 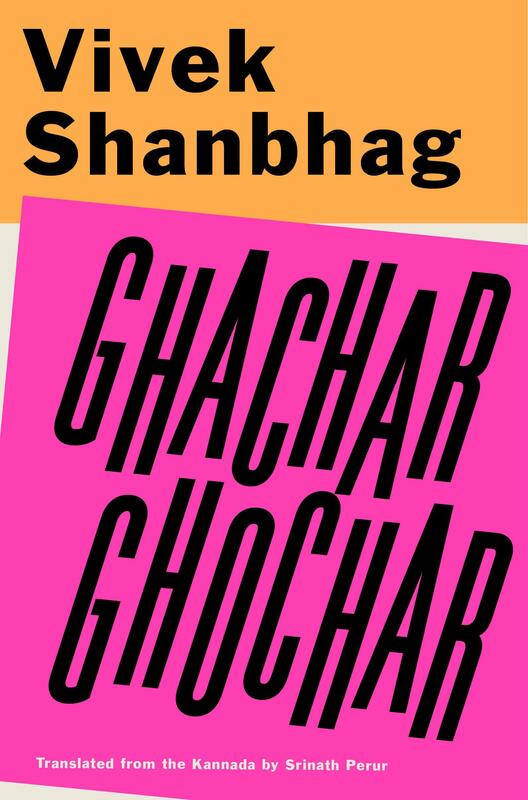 Thrilled to see it win the Man Booker Prize. A must-read. Edo-Lodge is a superb writer, and sets out the race issues that concern her (and must concern all of us) in an ordered way. Invigorating and essential. Wonderful! My first time reading the story of Odysseus on his quest to return home to Ithaca and his wife Penelope. An excellent translation, lively and direct. 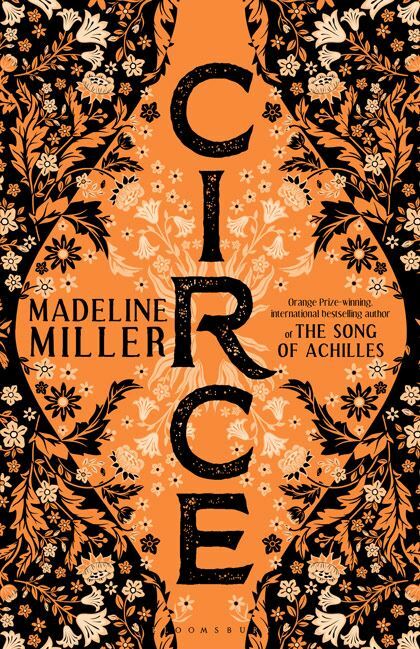 I loved the themes of fate, revenge and hospitality – a feature of (ancient) Greek culture – and the human capacity for friendship and war. My full review is here. A tour-de-force. Kathy is fiercely independent but getting married; Laing juxtaposes this with the events of 2017 and transports Kathy Acker to current (apolcalyptic) times. A short, poetic, bracing read. A compulsively readable story of Connell and Marianne set in Ireland in 2011 – 2015. Acutely observed, clean writing; their conversations, mistakes and joys ring true. Deserving winner of the Costa Novel of the Year Award. Inspired by Marina Abramovic and honours her work in a beautiful novel. Deserving winner of the Stella Prize (and other awards) – I loved it! An elegantly, written spare novel about a family and the nuanced dynamics when one brother’s business becomes successful. Much happening between the lines – deft and thought -provoking. See also our podcast Top 5 Books from July. Taking A Christmas Story as a jumping-off point in the second of her seasonal ‘Brexit quartet’ novels, I loved the witty, contemporary story and Shakespearian wordplay. A joy to read. This (and The Shepherd’s Hut, below), were also in our Top 5 Books in July. A terrific, bracing read. Daniele is minding his grandson Mario in a Naples apartment. He’s illustrating the work of Henry James’ ‘The Jolly Corner’ and James’ work infuses the story. A strong, intense short novel with many layers. 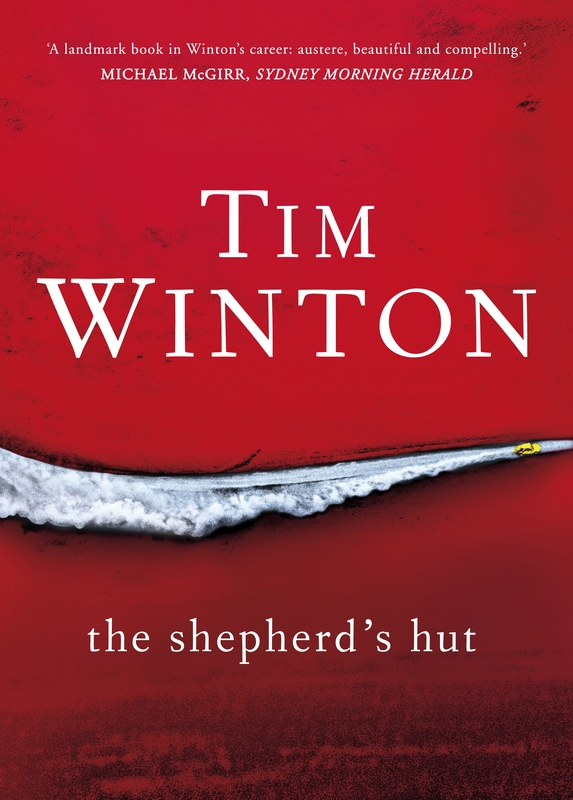 Tim Winton has surpassed himself with this novel about Jaxie, a tough but vulnerable teen boy. Told with compassion and humour, I loved the odd couple relationship with a priest, and Winton’s peerless descriptions of the Australian landscape. A future classic. We have just returned from two days at Legoland in Billund. Theme parks are not my happy place: crowds of children, queues and dubious food. Throw in some large novelty creatures and weirdly dramatic music and I’m out. Here are my tips for surviving the experience. This is a non-alcoholic wine. I recommend alcohol in large quantities. 1. Consider a different holiday: Fiji, Spain, the Fleurieu Peninsula – there are so many places you can go with children. Why a theme park? Our kids have formed lifelong friendships over the summer at Goolwa Beach. Not a Mickey Mouse or roller coaster in sight. 2. If that fails, go to Denmark. Why? Because everything is nicer there. Legoland Billund is your best chance of cool design with a sense of humour and a friendly, safe environment. You can fly there from London Heathrow in less than two hours (not so handy from Australia unfortunately). Japan probably does amazing, clever theme parks too. I feel like I don’t need to test that out, but would love to hear if you’ve been to any. The iconic LEGO sign and evidence of retail therapy. 3. Stay at the Legoland Hotel. It is more pleasant to walk through to Legoland than battle the traffic and carpark. The Adventure Rooms are a joy for kids and you can cope for one or two nights. The restaurant buffet meals are serviceable; and there is a nice terrace with a garden and playground. It’s quite civilised, if you go at the right time of year (see below). 4. Go mid-week and avoid July and August. We went in July because don’t ask, and faced crowds and 30 degree heat. This is not ideal and I do not recommend. 5. If something went wrong and you’re going in peak season, buy a Q Bot. This helps with the queue scenario. Then you’re off: all the rides you can stomach. Woo hoo! The terrifying Canoe ride starts as a pleasant river cruise, then drops you off a cliff. It gets us every time. 6. Lego House: exit Legoland as soon as possible and go here. It’s superb. Opened in September 2017, it’s a large, airy building dedicated to Lego and play. There are jaw-dropping installations including a tree which took 24,000 hours to build. It’s all highly interactive. The lower ground has vintage sets and the history of Lego, which is like a business masterclass. 7. Eat at Lego House. There are restaurants at ground level with good coffee and healthy snacks, and Le Gourmet for a proper lunch. Things are looking up. Delicious rooster tartlet at Le Gourmet. 8. Also in Billund: Lego headquarters is opening (part in 2019 and) in 2021; a tour of this would be fascinating. And if soft toys appeal, the Teddy Bear Art Museum opened in May 2018. 9. Off-topic, but my sister put me onto the IT CC cream, which has been a revelation. It replaces seven products (sunscreen, moisturiser, base, foundation, concealer, illuminator). It’s amazing! Perfect for travel. 10. Finally, have a recovery trip planned. We’re off to Kefalonia tomorrow for some sun, surf and meze. On that note, I’d better start packing! What is your favourite theme park (if such a thing is possible)? Hal is a young tarot-card reader and receives a large inheritance. She goes to Cornwall – a large creepy house a la Manderley in Rebecca – and meets the family, but realises it’s a mistake and she’s not the real heir. Hal is a sympathetic protagonist, and the mysteries kept me turning the page: why is she named in the will? What is the family hiding? I loved the settings of Brighton and Cornwall. A great, twisty plot and fun read. Dark Pines by Will Dean – Scandi noir with an interesting, deaf female journalist Tuva – the start of a series which I’m excited about! Thirteen by Steve Cavanagh – my go-to author for smart legal thrillers. This is the fourth in the Eddie Flynn series and I think the best so far. Un-putdownable. The Detective Armand Gamache series by Louise Penny – for a Canadian adventure. A tour de force. Kathy, fiercely independent, is getting married. She describes this time of change with honesty and wit: she has doubts, fears becoming mellow, loves her husband but fights and screams at him too. Laing juxtaposes this with world events of 2017. The idea that we fret about climate change but at the same time eat crab for dinner resonates – Laing has spoken about Twitter and the way we switch between the trivial and the unbearably significant. This book is extraordinary, on point and fun. It will keep you on your toes. A must-read. 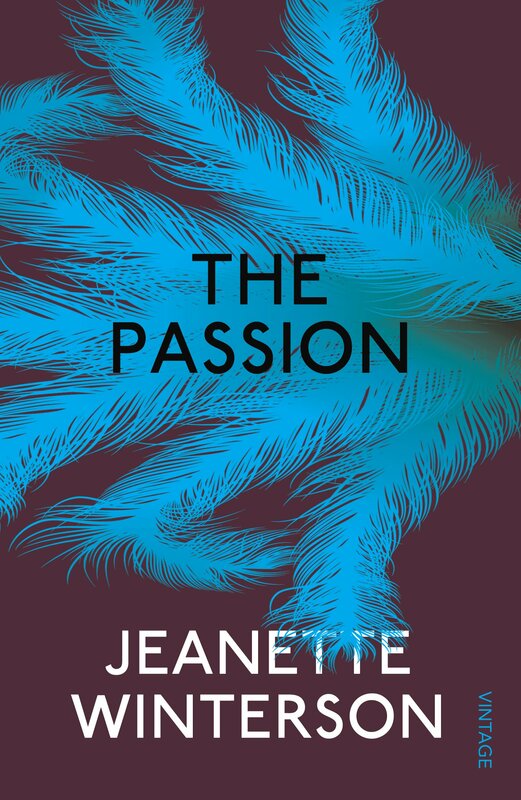 The Passion by Jeanette Winterson: a perfect gem, set in Bolougne and Venice during the Napoleonic wars. Moonstone by Sjón: a knockout. Beautiful, spare story of a boy’s life in 1918 Reykjavík. Hedonistic. The story of five old men in Rio reflecting on their friendships and approaching deaths. It’s narrated by each in turn . I enjoyed Torres’ style and humour. The men feel real, if larger than life, and it’s thought-provoking about age and mortality. Also, gorgeous cover and small book. Love it! Less by Andrew Sean Greer: a comic novel about a writer who travels the world to avoid his ex-boyfriend’s wedding, this won the 2018 Pulitzer prize. Amanda loved it more than I did when we discussed it on the podcast, but we both agreed it would be a great holiday read. This was recommended to me by Laura Kroetsch (former Adelaide Writers’ Week director) who always has the best book tips! 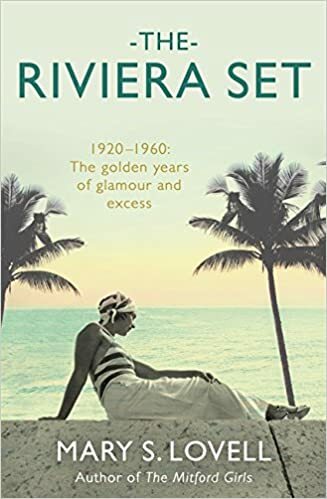 It’s the story of an Art Deco villa on the Côte d’Azur and the people who stayed there from the 1920s to the 1960s, including Winston Churchill, Gianni Agnelli and Rita Hayworth. It sounds fabulous and is in my suitcase for our holiday next week. Mythos by Stephen Fry: superb, especially as an audio-book, narrated by Stephen Fry himself. The stories are wonderful and highly entertaining. With children aged around 12 and up, this would be great for a road-trip! Not an obvious holiday choice, but the poetic form is so lively and readable that it’s a page-turner. Perfect for your Greek island holiday. I think it’s still in hardback but perhaps on audio, or when it comes out in paperback, this is a must. I’ve done a full review here. We’ve read some fantastic new books on the podcast, including The Shepherd’s Hut and Circe – check out our top five here. Now it’s time to pack. What are you reading on your next holiday?